20 tea sachets + 2 extra free teas inside to share. To get the best from this tea, infuse for at least 3 minutes to release its full character. It tastes equally good with or without milk. 100% organically grown and ethically sourced ingredients: Nam Lanh whole leaf tea. 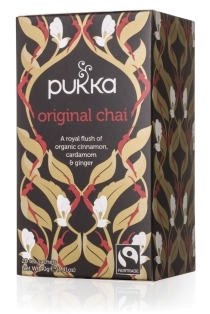 Tea: traded in compliance with the Fairtrade Standards, total 100%. 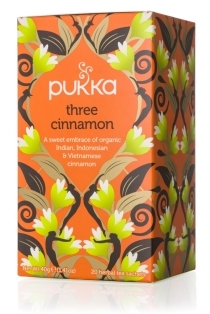 Pukka uses sachets to protect the high essential oil content of their incredible organic herbs to bring you the fullest flavour..